New Genuine Sheepskin & Cool 3D Air-Flo Mesh Covers! XL TOURING GENUINE SHEEPSKIN COVER-THE ULTIMATE! Experience the Advanced Technology and Unmatched Comfort of our SKWOOSH® Gel Seat Pads! Looking for a Motorcycle Gel Seat Cushion? Increase your riding pleasure. 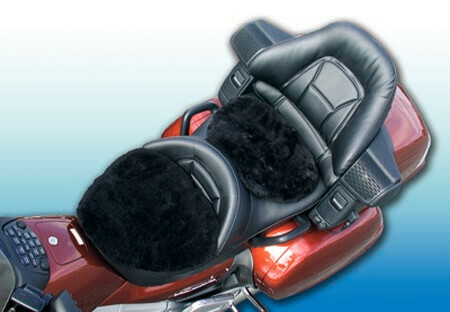 Everyone rides longer, in more comfort than ever before on SKWOOSH® motorcycle seat cushions. Made of an Advanced, Ultra Light “Space Age” Fluidized Gel used in medical and sports applications. We have the ultimate in riding comfort for all riding styles! You will ride longer & more comfortably with SKWOOSH® motorcycle gel seat pads guaranteed, or your money back! Proudly MADE IN AMERICA. Guaranteed To Enhance Your Riding Experience-Or Money Back! 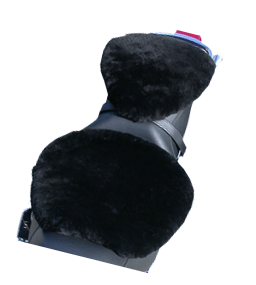 Motorcycle Gel Pads – With Three Cover Options: Cool AIR-Flo3D MESH, Perforated Genuine LEATHER and NEW PLUSH SHEEPSKIN! 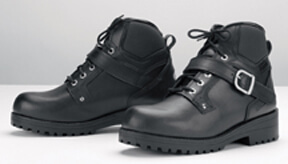 Made of Space Age Fluidized gel used in medical and sports applications. Takes the shape of the rider. Motorcycle seat pad at it’s best. Absorbs Vibration, small bumps and road irregularities! Will not melt, harden, crack or leak! Pad Weighs less than 1 lb. Pad Thickness is 1 in. Raises rider less than 1/2 in. Motorcycle Seat Pad Now with New Genuine Sheepskin Covers! SKWOOSH® “Space Age” Fluidized Gel Will not freeze, melt, harden, crack or leak. Non toxic. Sheepskin wool COVERS ARE COMING SOON! It is soft and resilient. Its fibers breathe, acting like a natural thermostat for your body. These hollow fibers can absorb up to 30% of their own weight in moisture without feeling wet, keeping you perfectly dry regardless of the weather. The free flow of air between you and the sheepskin fibers is a comforting change from the clamminess of leather and vinyl motorcycle seats.